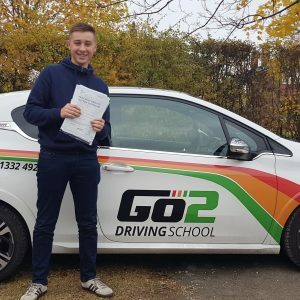 Congratulations to Dan Bates of Spondon, Derby on passing his practical driving test on Friday 9/11, with just 3 driving faults at the Derby driving test centre (Alvaston). We'll look forward to seeing you around the local area in your new Ford Fiesta. 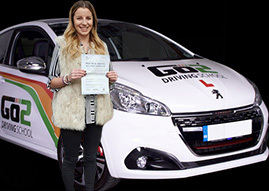 Best wishes from your driving instructor Matt Durrant and all the team here at Go2 Driving School.